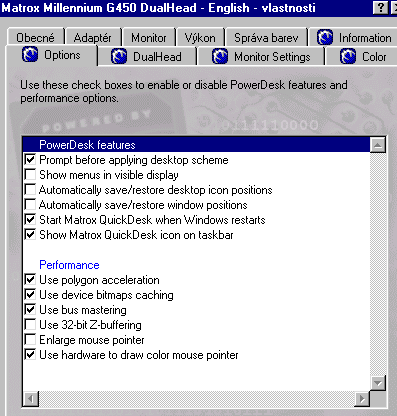 G400 core die shrink with DDR memory support. 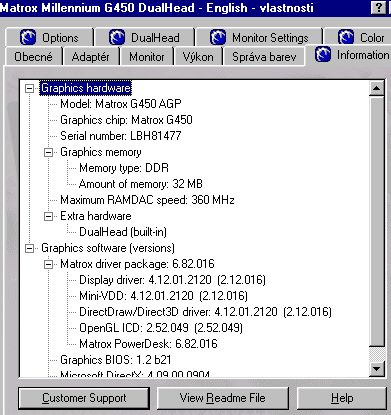 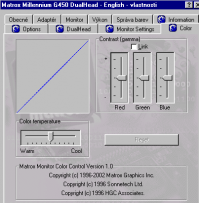 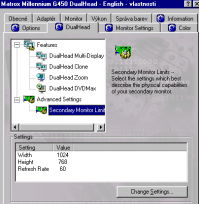 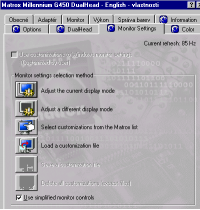 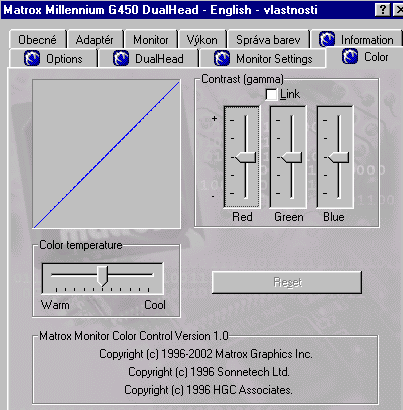 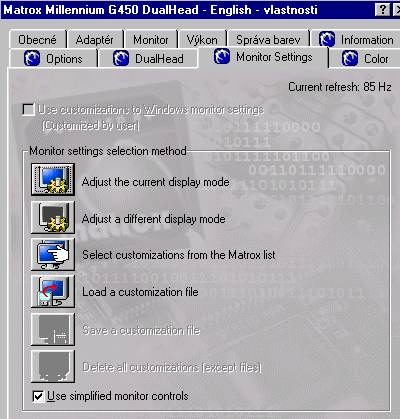 G45+MDHA32D/CPQ - core 118MHz, memory 294MHz. 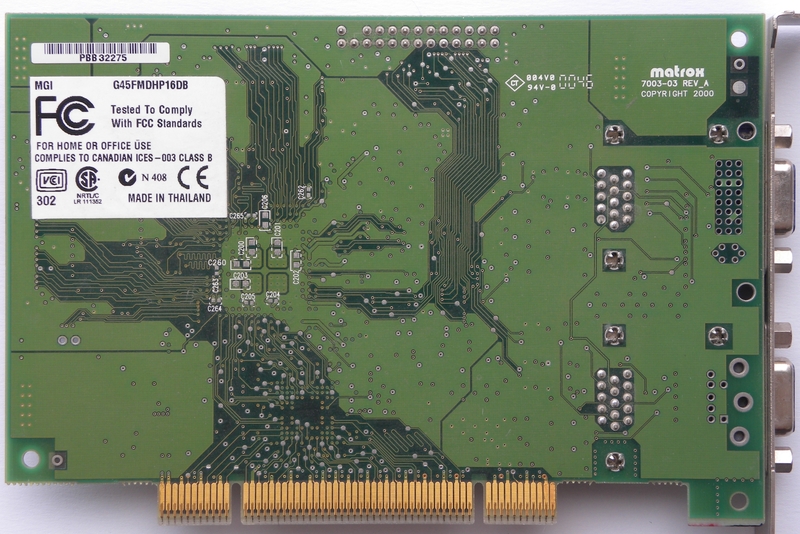 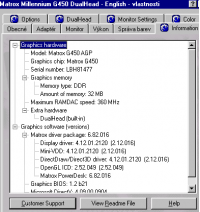 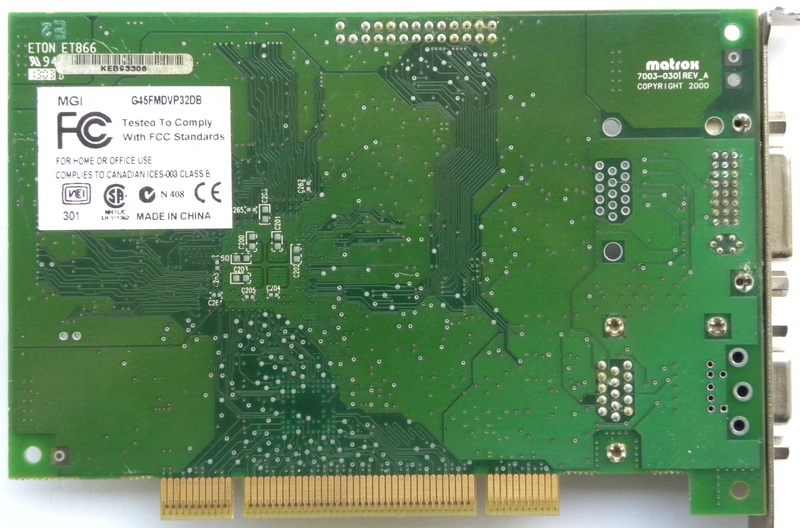 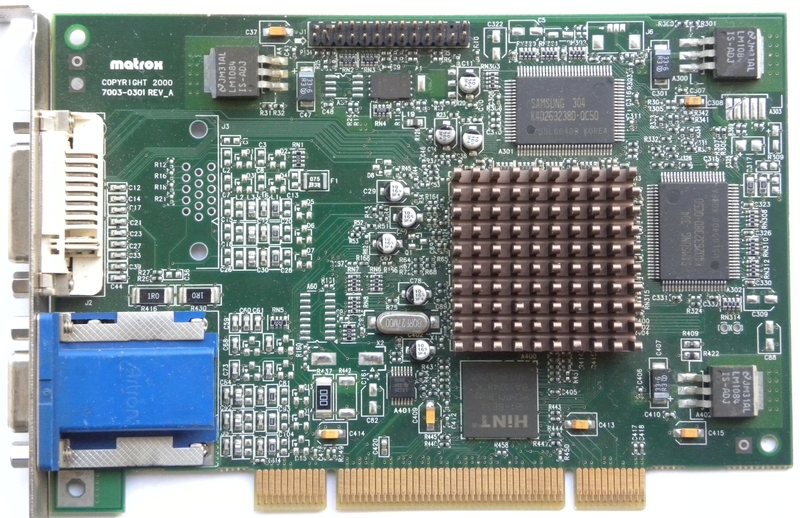 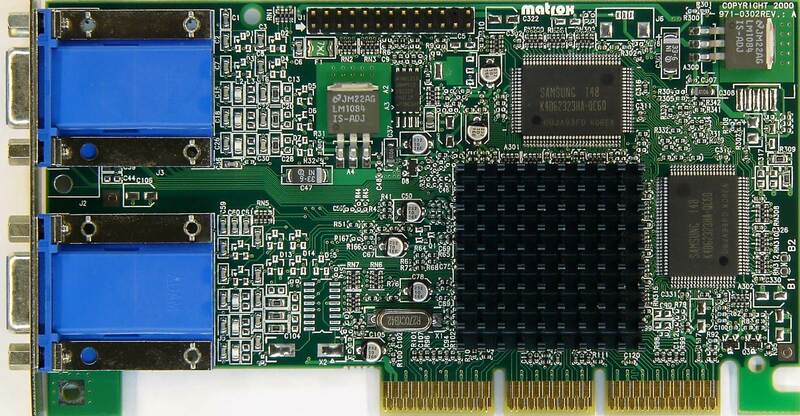 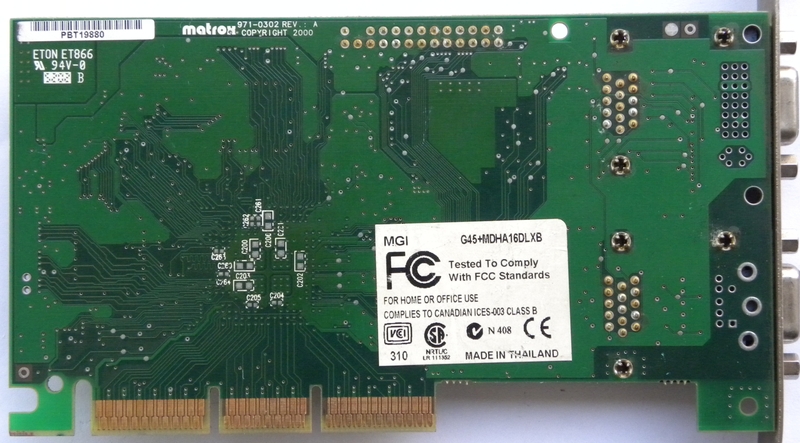 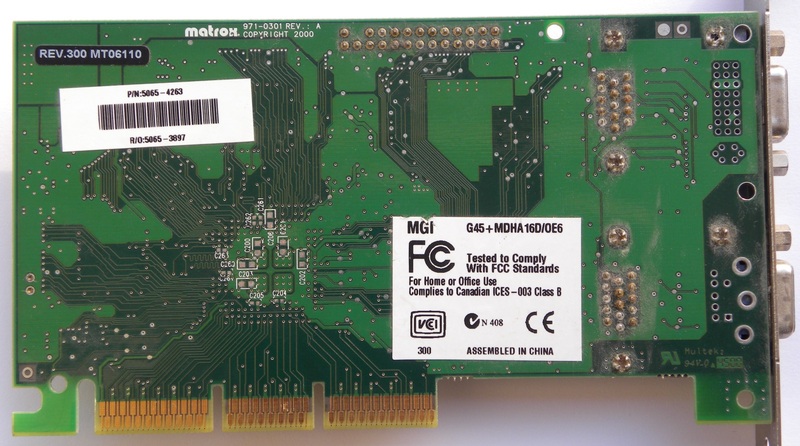 G45FMDHA32DB - core 108MHz, memory 324MHz. 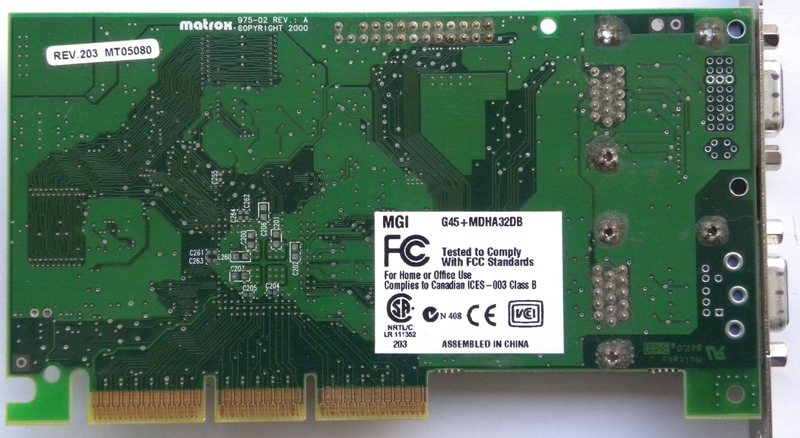 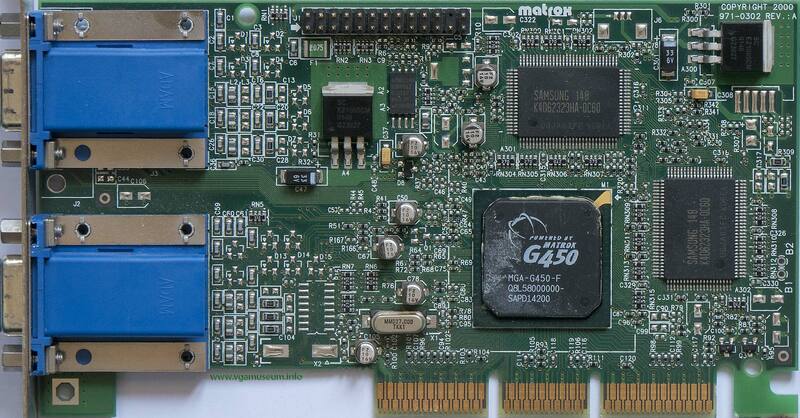 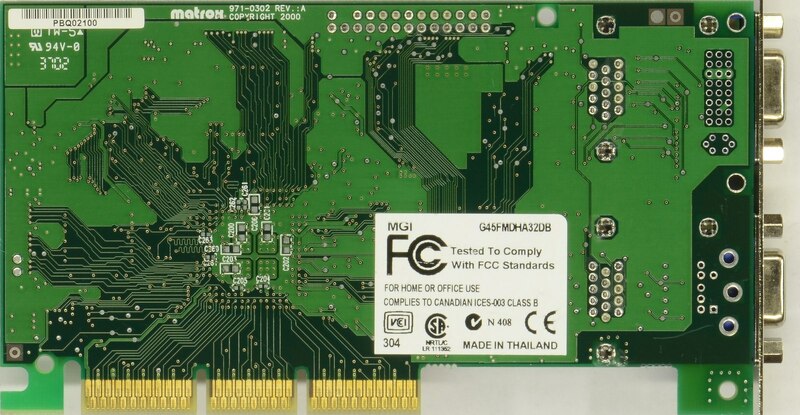 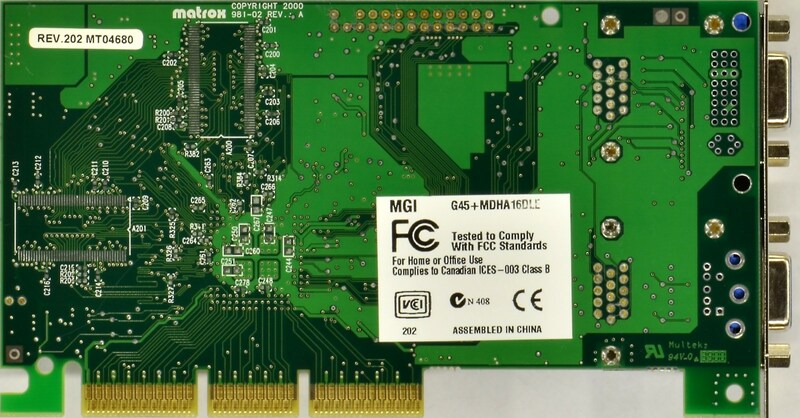 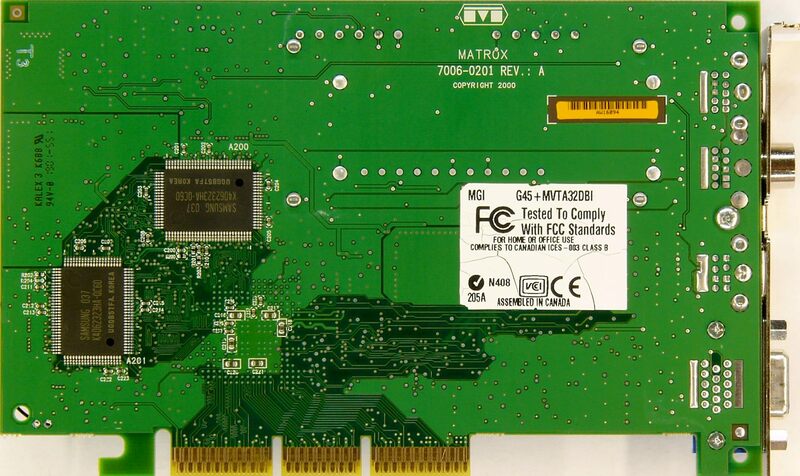 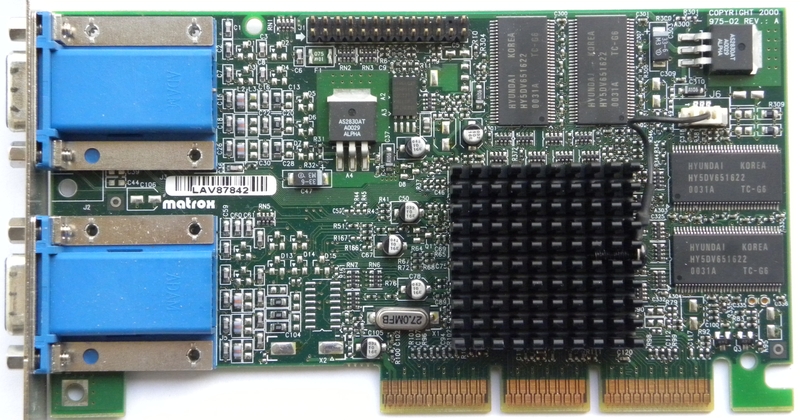 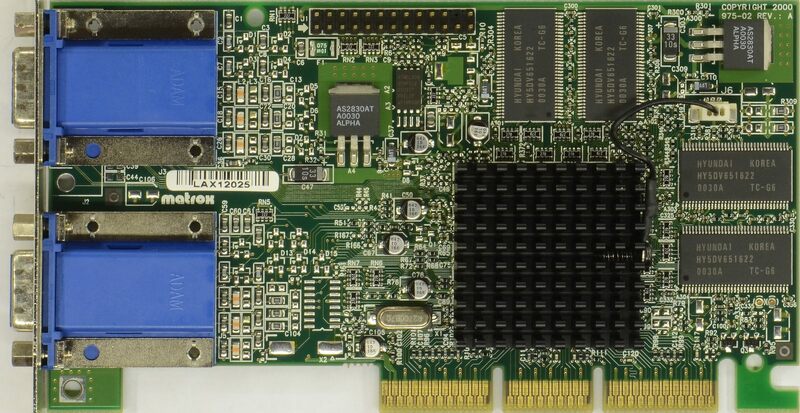 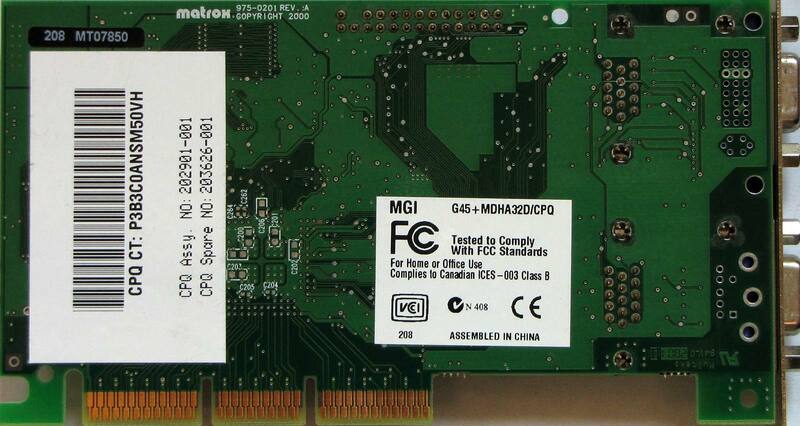 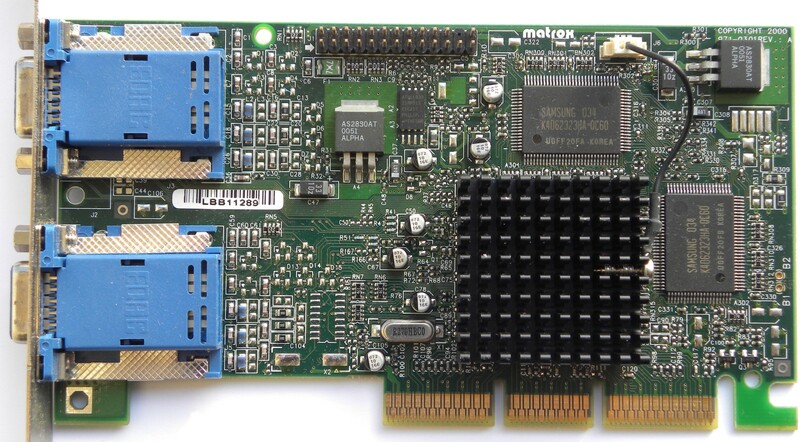 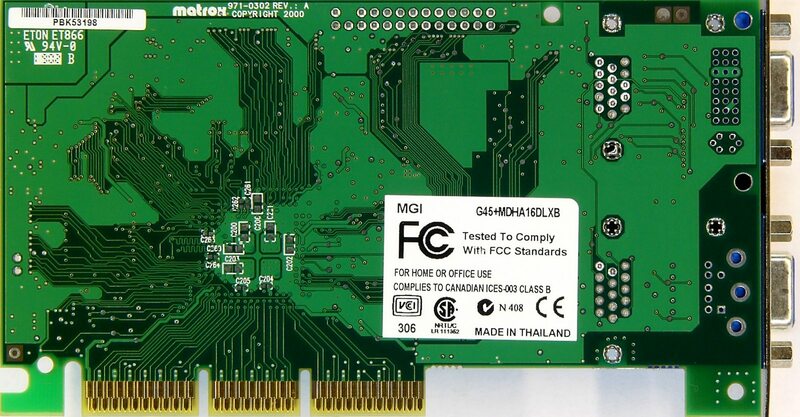 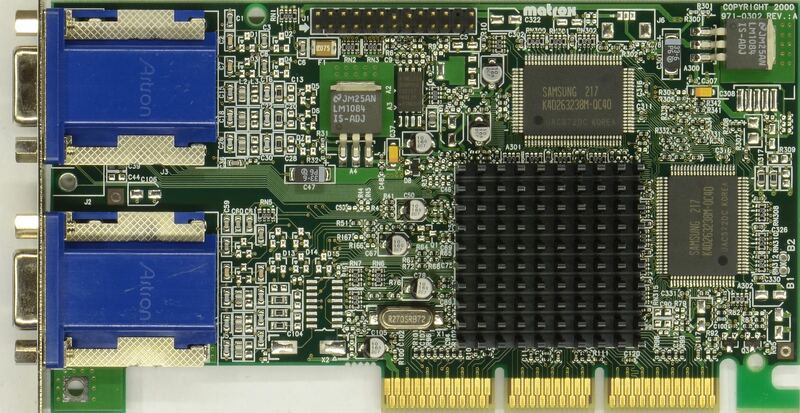 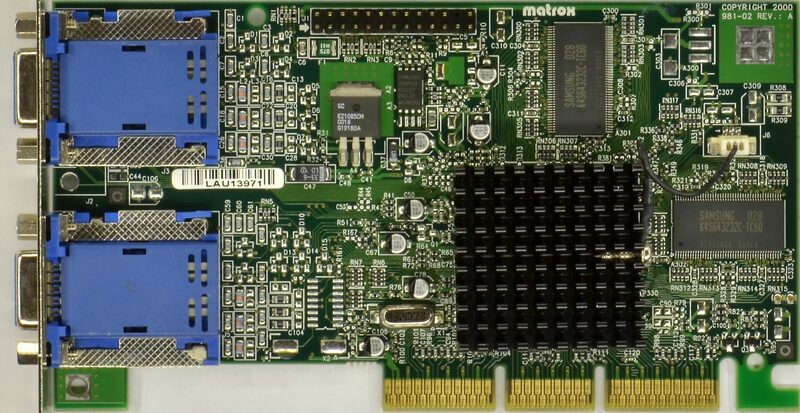 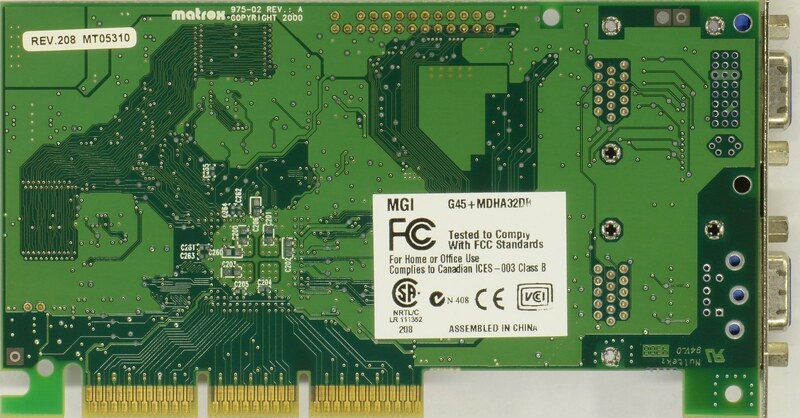 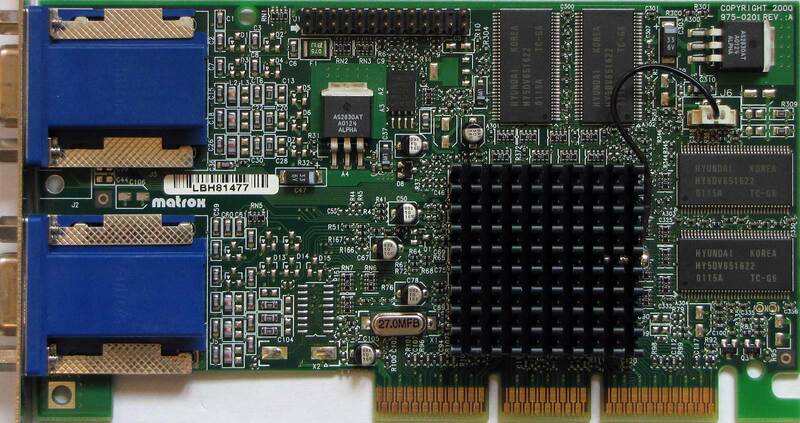 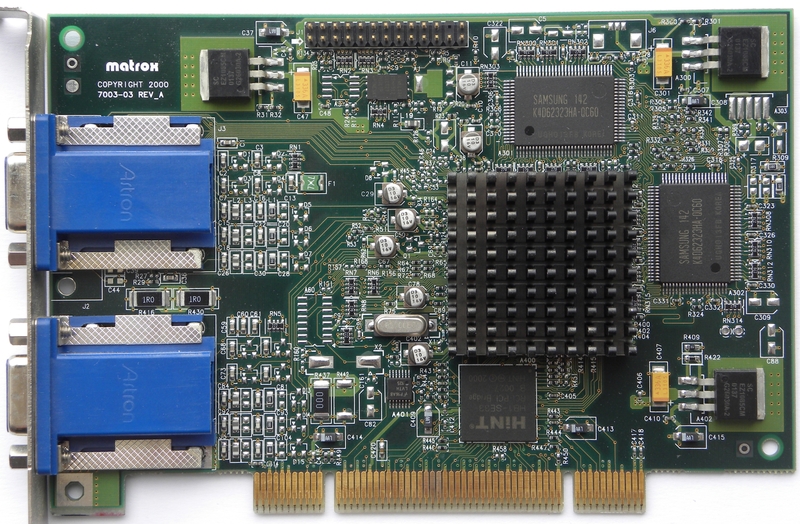 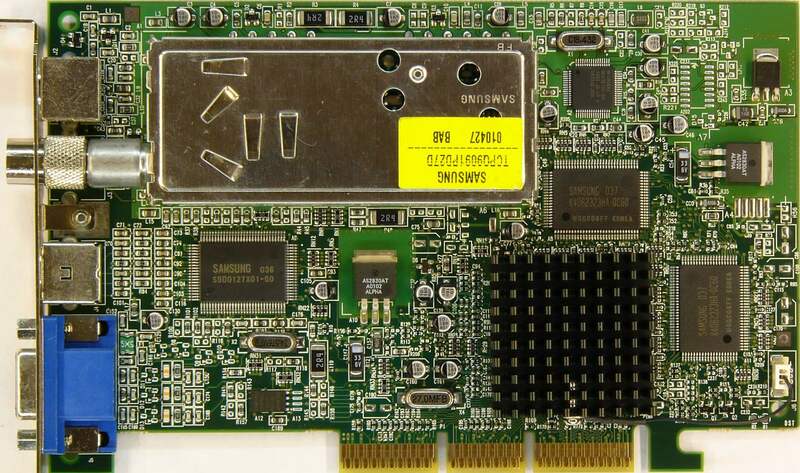 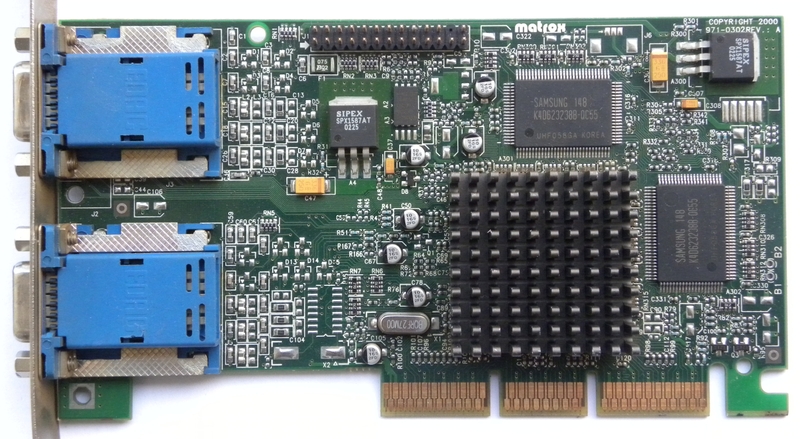 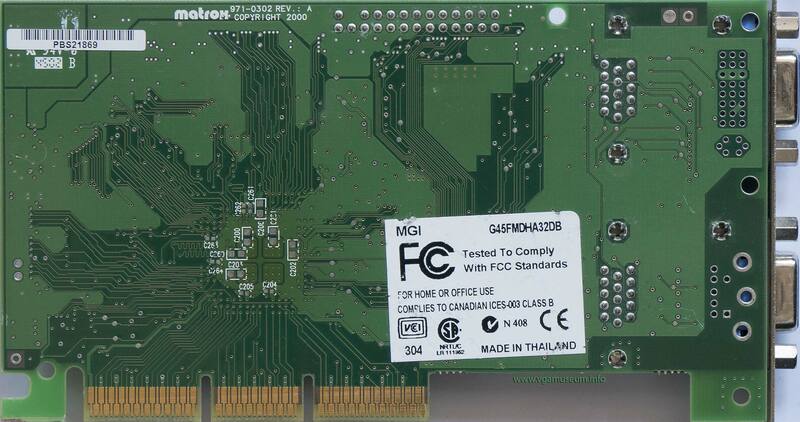 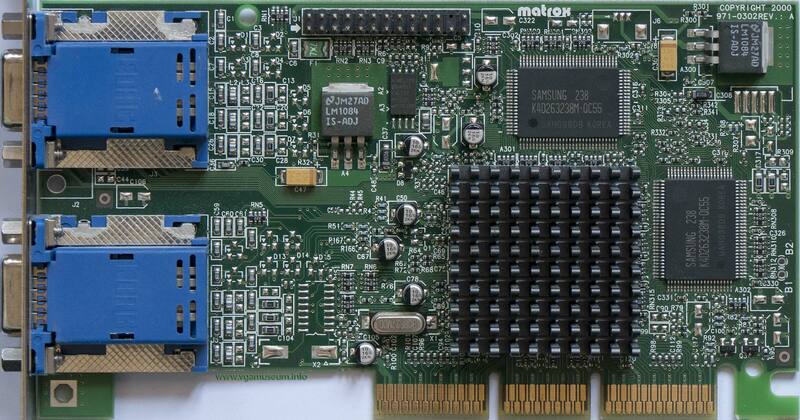 The G450 LE actually used SDR memory, but retains the 64 bits memory bus. 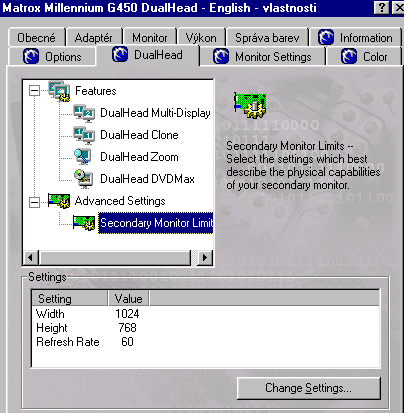 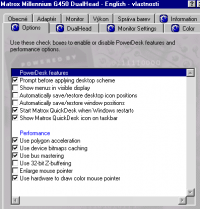 Performance suffers a lot over the G400 at high resolutions.